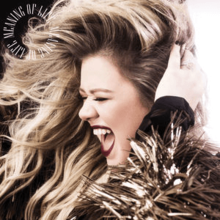 After the disappointing reception of “Piece by Piece,” Kelly Clarkson is back with “Meaning of Life,” an R&B-inspired pop album full of soul, and her first album with Atlantic. Clarkson was previously signed to RCA Records after winning the first season of American Idol in 2002, but has since described her relationship with the Sony affiliate as an “arranged marriage.” Her latest album, then, is like her debut all over again. “Meaning of Life” isn’t particularly musically groundbreaking or morally enlightening, but it does represent a continued search of self for the 35-year-old pop artist. Exploring a more subdued feel than her previous pop smash-hits, Clarkson seems to have found her voice in relaxed blues patterns and gospel backgrounds; featuring flowing ballads and southern sass from the opener to the close. The album received a score of 73 on MetaCritic—Clarkson’s highest yet—but faced criticism for being on the generic side. Personally, I agree; the vocals are strong, and Clarkson offers a powerful, heartfelt delivery, but the production leaves a lot to be desired. The tracks built to accompany her vocals just aren’t impressive, and a lot of the writing feels cliché and uninspired. Overall though, none of the works on “Meaning of Life” stand out as sub-par (with perhaps the exception of “Whole Lotta Woman,” triumphing such life-changing lyrics as “all I’m needin’ is a baby love me like a warm biscuit on a Sunday morning…”), and the album as a whole delivers on Clarkson’s promise to offer a fresh, new exploration of her artistic vision.